What to do in a lazy Saturday evening in Singapore? Just two days before the Lunar New Year. 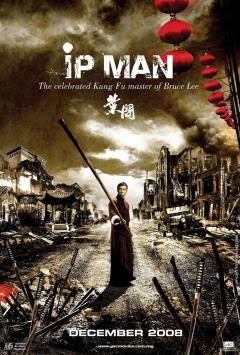 Ip Man was the target today. A long-buzzed movie whose marvelous credits I have heard since a while ago. Turned out, all the good credits were all true. I heart this one. The plot was touching. The martial arts showcased were breathtaking. Donnie Yen's acting and fight scenes were magnetizing. Definitely worth to watch over and over again. Going home, when we were heading to the Orchard MRT Station, my eyes caught this Chinese man selling Chinese calligraphy paintings. I stood in front of his displays on the street near the station for quite some time. When I was checking on his works and trying to decipher his artworks' messages, an Indian lady needed some translation help to communicate with the street calligraphist. With my poor Mandarin speaking ability, I helped her asking him whether he'd still be there tomorrow. He said 'Not sure'. She finally did not ask the man to make her some paintings as she was in hurry. He said 10$ each. Took about 5 minutes to finish. Then, I just wrote my Chinese name in his scrap book and he began working on it. He was turning my Chinese name into an express art. While we were waiting for him to finish painting, suddenly there were lots of people behind us watching his impressive painting show. Looks beautiful, doesn't it? A pretty nice obsession to remember few years from now. Indeed, a small treat from Singapore to celebrate the Lunar New Year this year. Don't forget to promote your blog, so you can share your blog worldwide. 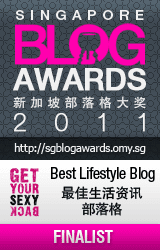 Find the link promotion in my blog. It's free.